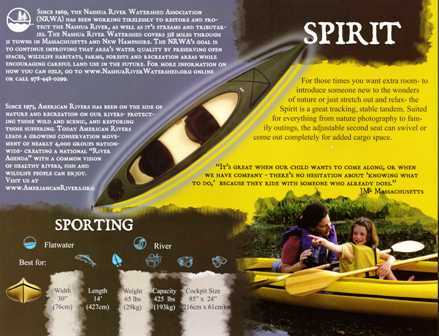 Walden Spirit Kayak - For those times you want extra room to introduce someone new to the wonders of nature or just stretch out and relax-the Spirit is a great tracking, stable tandem. Suited for everything from nature photography to family outings, the adjustable second seat can swivel or come out completely for added cargo space. Specs: Width 30" Length 14' Weight 65lbs. Capacity 425lbs. Cockpit Size 85" x 24"
*Earth friendly HDPE #2 recycled and recyclable plastic used in all of our recreational, sporting and touring boats. 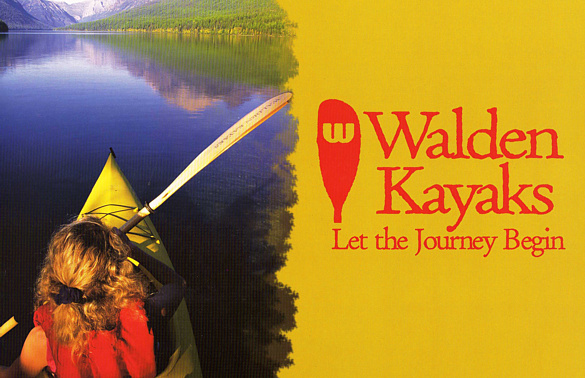 Order today and have this Kayak shipped directly to your home. Contact us for shipping quote.